Here are 11 Inspector Rebus mysteries, including the hanging of a student during the Festival, an arson attack on a bird watcher, and the apparent witnessing of a miracle. If you're the kind of traveller who likes to step off the tourist trail, this is the book for you. ©2002 John Rebus Limited (P)2002 Orion Publishing Group Ltd. 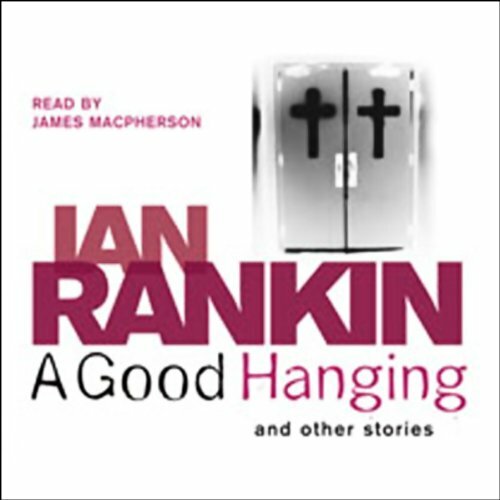 This was my first exposure to Ian Rankin and Inspector Rebus. The writing and story lines are very good and I now plan to move onto the Rankin's novels. However, the download was extremely disappointing. It comes as a single track of 6½ hours. There are chapter marks at the start of each short story but nothing else to help the listener navigate around the audio book. Audiobook CDs are all sliced into 3-5 minute tracks for the convenience of the listener. Sadly this simple functionality is missing from this audible download, which is little better than the bad old days of audio cassettes - rewind and fast forward if you want to listen to part of the story again. This was my first Audible download - if others are the same I will be cancelling my membership.